where the holidays spirit never ends! 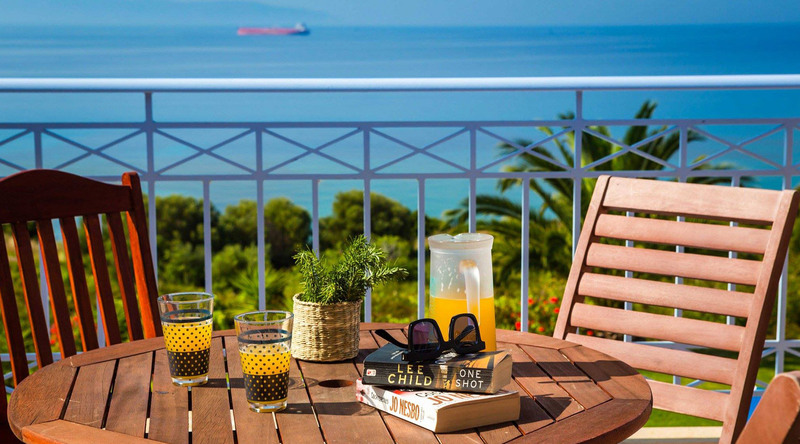 Trapezaki Villas Kefalonia are located at the foot of Mount Aenos, one of the ten national Parks in Greece, offering a stunning view across the Ionian Sea and the opportunity to enjoy a serene and relaxing stay with privacy in a peaceful environment. 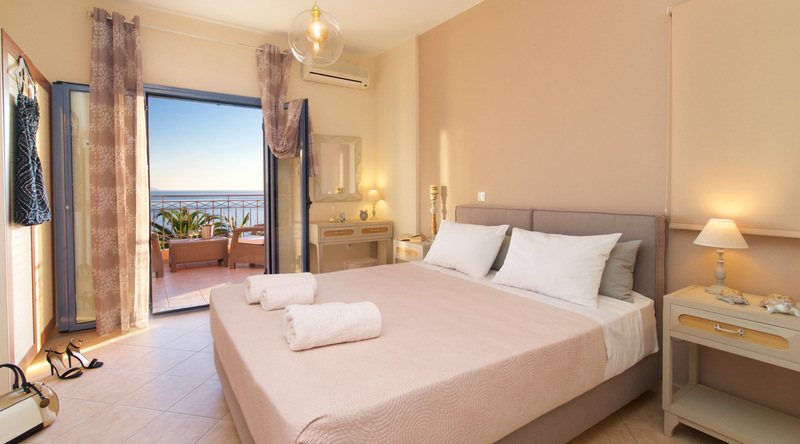 The property offers 2 self-catered villas with private pools and stunning sea views where seafront restaurants and shops are within 7-minute walk. 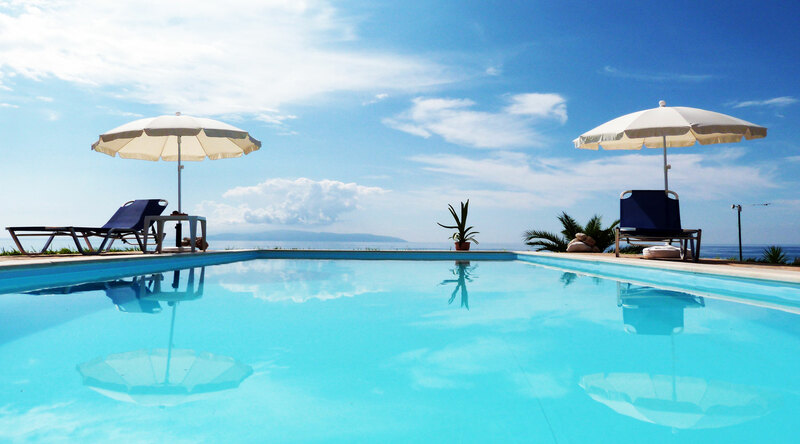 There is also a pool bar just a few meters away (2-minute walk). Villa Mariza is neighboured by Villa Angelica. 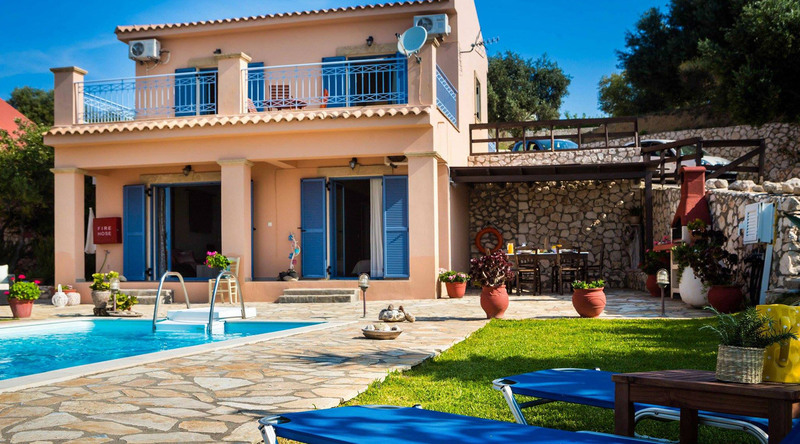 Both properties are identical in build and are separated by a large dividing fence, thus offering holidays with privacy. 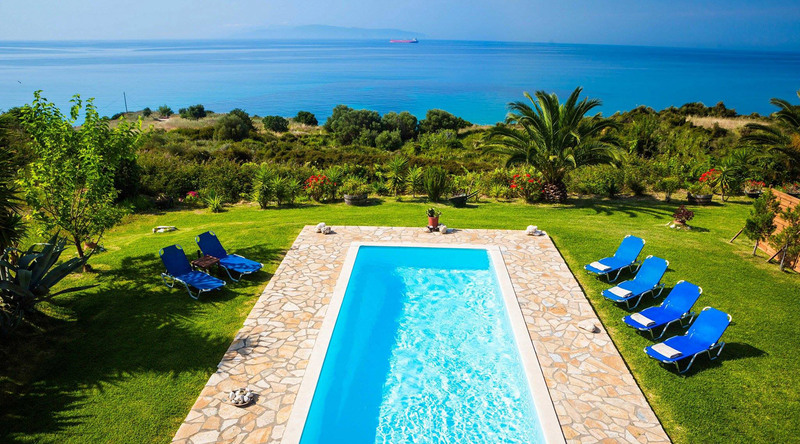 Each villa has its own private swimming pool. 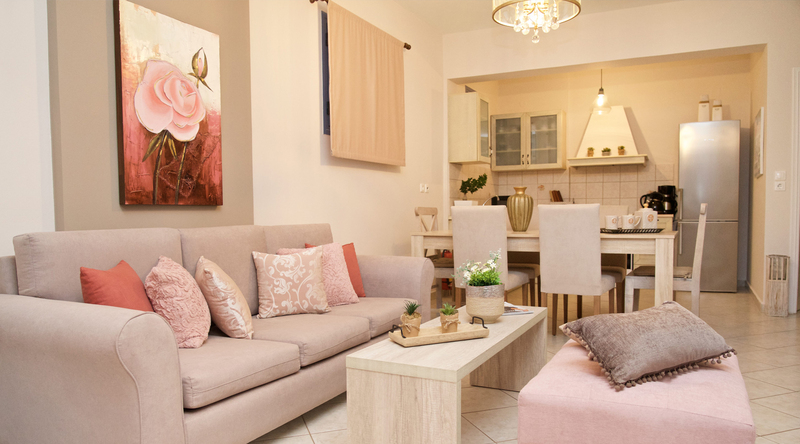 Both villas can be booked at the same dates with easy access between them, thus suitable for groups of up to 12 people. The atmosphere is very friendly and warm, and the garden just outside idyllic and fresh. Surrounded by trees and a beautiful vineyard, where you can also harvest grapes, if you are visiting it in August! 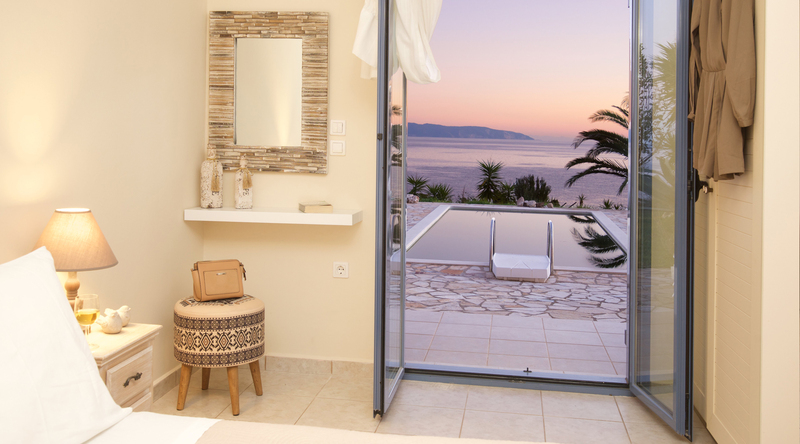 Trapezaki Villas Kefalonia provide a perfect base from which to explore the many delights that Kefalonia has to offer. Book now directly through our online booking system and secure the best prices and many other benefits.